To help ease accommodation selection, the CCECE Organizing Committee has appointed Conferium Conference Services to act as the conference housing bureau. Note that no deposit is required and you can modify or cancel your reservation until 72h before the event. 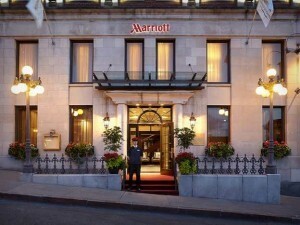 Your credit card information will be asked to guarantee your room reservation, but no payment will be drawn from your card. 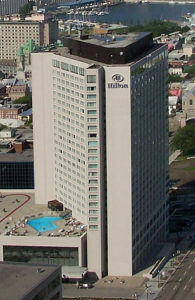 Located near the Parliament Buildings, right beside the fortifications of the old city, the Hilton is linked to the Convention Centre by an underground passageway. BOOK NOW>> (select "Attendee") or Call +1 800 647-2411 , promo code "CCECE 2018"
BOOK NOW >> or Call +1 888 236-2427, promo code "CCECE 2018"
BOOK NOW >> or Call +1 866 694-4004, promo code "CCECE"
Located in the heart of beautiful Quebec city. 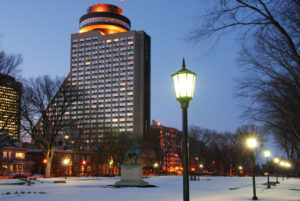 Hotel Le Concorde Quebec imposing structure offers a beautiful view of the majestic fleuve Saint-Laurent and of Quebec city numerous parks and green spaces. BOOK NOW >> (enter "CCECE" under the promo code box) or Call +1 800 463-5256 and mention promo code "CCECE". 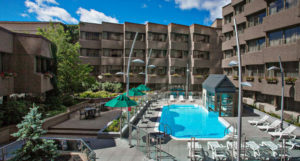 Located on the Laval University campus, The residences are 6 km from the Québec City Convention Centre. Getting there is particularly quick via RTC’s high-frequency bus service (Métrobus 800 and 801) or by taxi.